Our fearless leaders Jessica Munday and Jenny Dennis had the pleasure of attending the all-day Good Business Summit in Charleston on Sept. 20. They were gracious enough to share their overall experience and takeaways from the event below. Hosted at the Charleston Music Hall, the 6th annual Good Business Summit was presented by Lowcountry Local First, a fabulous organization dedicated to supporting local businesses throughout our community. The event itself brought together business leaders and entrepreneurs from around the Charleston area to share helpful ideas and workable solutions meant to inspire growth, prosperity and community with fellow attendees. While there were dozens of noteworthy speakers and presentations, we were only able to pick a handful that we could attend (if we had our handy-dandy time turners, we could’ve attended all of them! ), and the ones we did attend did not disappoint. During this session, Karalee and Steve talked about the importance of taking care of your people and investing in them to make sure they have the tools they need to do their job and do it well. We were inspired to hear that The Indigo Road offers to cover the cost of mental healthcare and provide a home loan program for employees, among other added values to encourage employee retention. While they are a larger organization with abundant resources, they encourage businesses of any size to look for meaningful ways to show they are investing in their people and truly care. As an organization, Taco Boy is a big supporter of collaborating with other local businesses that offer services their employees need. For example, by partnering with a local dentist office, they are able to offer employees dental care at a discounted rate. Both business owners are big proponents of promoting from within and encourage everyone within the business to live the company’s values every day, regardless of their job title. 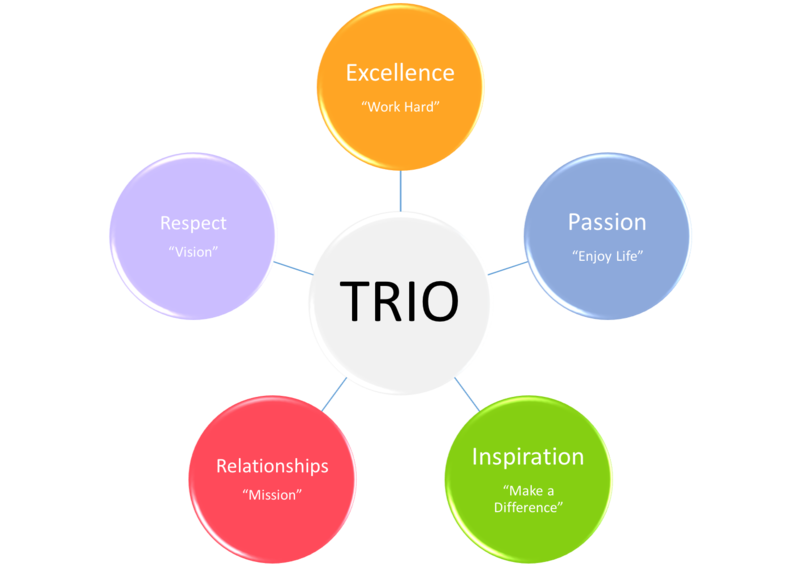 It was a great reminder that not only do we need to know what TRIO values, but we need to find ways to encourage our team to live out our values (below) every single day and find ways to elevate the value of TRIO for our employees. This was an especially eye-opening presentation on what’s happening within our very own community in terms of housing and transportation. We were surprised to learn about the disconnect between affordable housing and public transportation. More specifically, the lack of public transportation from affordable housing neighborhoods to commercial communities. Charleston Moves has several initiatives that are aimed at improving transportation within our community, the most notable one being the Bus Rapid Transit (BRT). It’s definitely worth checking out this awesome initiative if you haven’t already. If you have the opportunity to see Katie Wells present, DO IT. She was absolutely incredible and her presentation was filled with thoughtful case studies to back up all of her points. Her presentation was all about how a company’s culture is going to exist regardless of whether you are involved or not. So, it’s important for you as a business owner or leader to be intentional about building your office’s culture. She shared tactical, practical ways that an organization can create or change the culture of a company that we look forward to implementing in our own office. 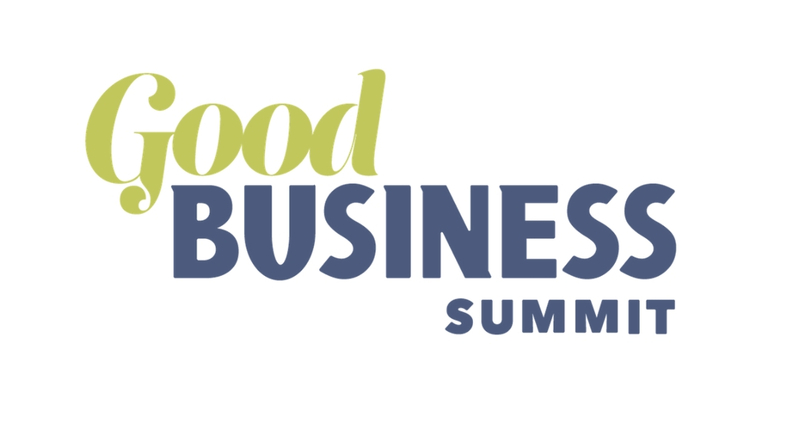 In addition to reminding us of the importance of establishing a strong culture and leading our team, the Good Business Summit allowed us to renew our commitment to being good business partners both within Mount Pleasant and the Charleston community.